← How do we describe our hobby? 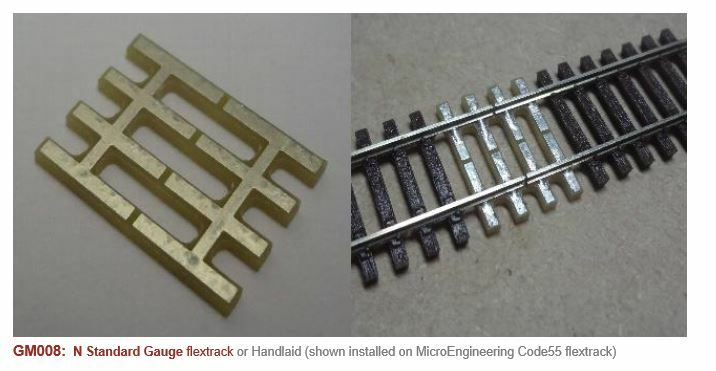 A few months ago (well actually 15 months), I posted about the ‘Gapmaster’ range of etched PCB sleeper sections, pre-tinned to solder the track to. The original post is here. I got hold of some of these neat fittings from the USA. Tidying up the track on my new module gave a chance to use a few of these sections. So here’s the end of my new N-club scenic module. I lifted the track and relayed it, replacing the solid PCB board with Gapmasters. I found that the Peco code 55 rail had to be reduced in height a little – perhaps half the ‘foot’ of the rail that makes code 80 look like code 55. No doubt the Gapmasters are designed for Atlas or MicroEngineering track. This took a few minutes with a largish file, and a touch of flux and solder made a solid end joint. The rather nasty looking wiring is still to be resoldered (or replaced). I’m very pleased with the end result, that gives a good looking but robust joint between baseboards. 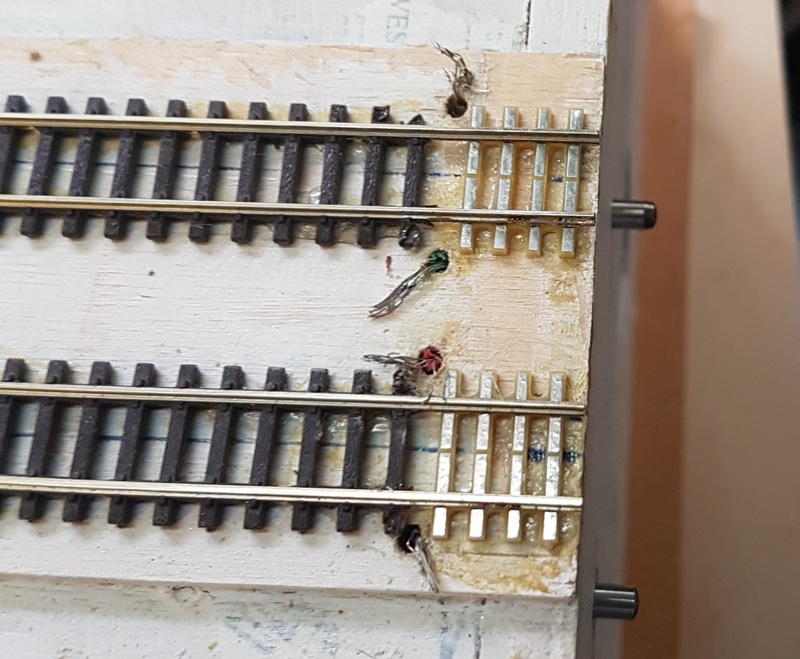 The sleeper spacing is too close for the UK, but this is hardly noticeable at the end of a board – and the adjoining Peco track is wrong as well…. And with ballasting beckoning, how about one of these (HT RMWeb)…..
Jon, it looks like you’ve laid the track directly onto the baseboard. The standard says that the top of the rails should be 6mm above the board, which IIRC means using 2mm cork. I’ve used Woodland Scenics trackbed before, and it’s quite close, but a touch too high. Thanks, Duncan. No, the track is on a strip of laser quality ply. This might be just under 3mm in depth, but worked fine on my module at this year’s show!